If you’re up for an adventure, winter in Korea can be a perfect place to visit. Sometimes the summer can feel way too hot and humid, but the winters are cold and dry. Anywhere from December through mid-March can be the best time to enjoy all the snow activities, and beat the crowds that come to Seoul in the summer. 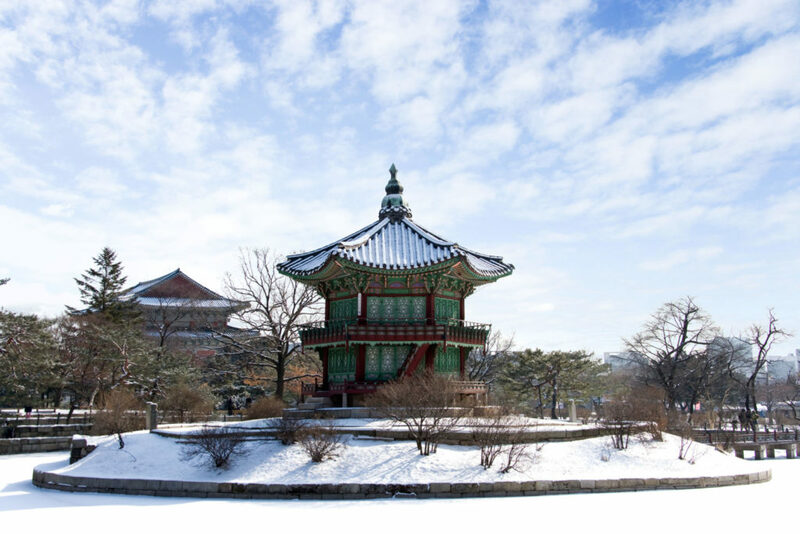 Here’s what you need to know for your winter trip to Korea! Korea has sooo many delicious soups and stews; they’re a major part of the cuisine. Being here in winter makes them extra cozy. Even every day food such as Kimchi-jjigae (김치찌개) which is kimchi stew, is extra delicious when it’s cold outside. 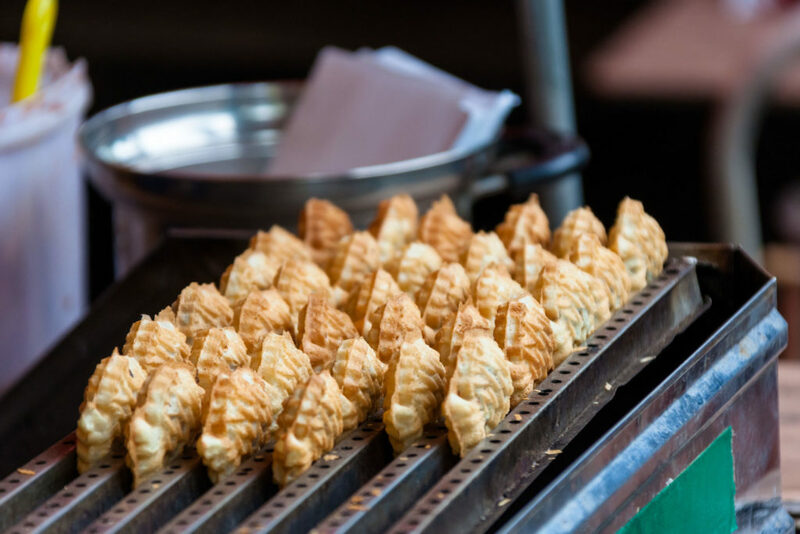 Hotteok (호떡), a sweet Korean fried pancake, is sold all year round, but is more popular (and tasty) in the winter when it’s cold outside. Also look for roasted sweet potatoes (구운고구마), which are sold on the street. They’re usually quite large, so they will keep your hands warm for a long time while you walk around! The northern parts of South Korea have great conditions for skiing, and are part of what made the Pyeongchang Olympics a success. Take advantage in the winter by going to ski resorts such Yongpyong or Vivaldi Ski World. Yongpyong was also used during the Olympics, and so offers great facilities and ski hills. Depending on what you’re used to for cold weather, you might find Korea’s winter weather ok! In December and February, the average temperatures are between 4/-4C, though in January it’s significantly lower, averaging 1°/-7°. In downtown Seoul, there’s usually not too much snow, and it usually doesn’t get in the way of any activities. Outside of the big city though, there can be a lot more snow requiring more preparation. In general though, winter here is pretty dry, so snow won’t be too much of a concern. Considering the weather, you do need some winter gear. Make sure you have at least a hat and scarf or hood, because the winter winds can feel brutal as well. Little alleys or streets lined by buildings can act like tunnels and make the wind feel even worse. Gloves can help with this too! Considering the dry weather, winter boots generally aren’t necessary, though lots of body moisturizer can be nice! Many people also carry hot packs here, under their coat, in their boots to keep their toes warm, or in their gloves to heat up their fingers. They’re perfect for when you have to do stuff outside, or even just waiting for the bus in the winter months. They’re sold almost everywhere – in malls, convenience stores, supermarkets. A pack of 10-20 is also quite cheap, it should only be a few thousand Korean won. They’re not reusable though – after they’ve been activated they only last for a few hours, and then a new one is necessary the next time. Definitely a great trick to keeping the cold away! Christmas and New Year’s Eve? Though there will be some decorations up for Christmas in Korea, it’s still not as big as it is in other countries. December 25th is a holiday here, so double check any plans you have for that day to make sure where you are going is still open and available. Often, if Christmas is early or late in the week, the day before or after will also be taken as a holiday, to give people a long weekend. In 2018 for example, Christmas is on a Tuesday, so check your plans for the Monday before as well. There are some New Year’s Eve events in Korea. 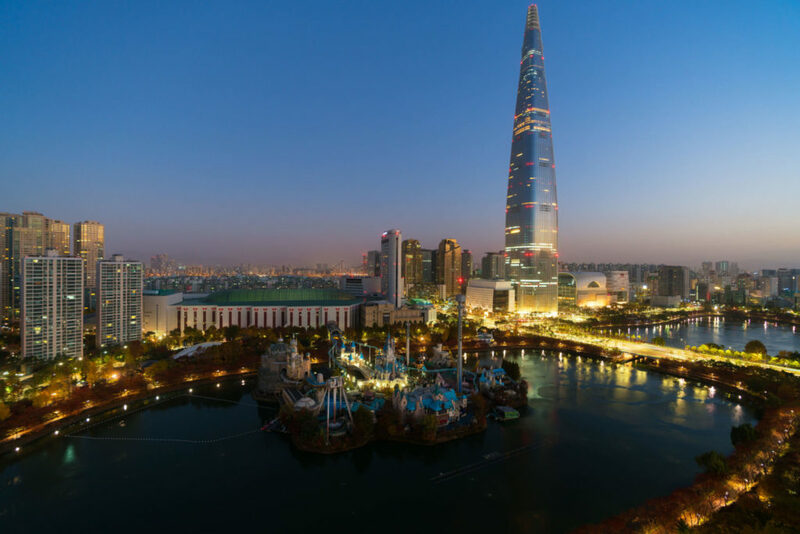 Times Square (타임스퀘어) in Yeongdeungpo (영등포) has an outside party every year, and there are fireworks at the Lotte World Tower (롯데월드타워) in Jamsil (잠실). January 1st is also a statutory holiday, with many places closed. Do you want to Live & Study in Korea? Go! Go! Hanguk helps you find the best Korean language school, book accommodations in Korea, and complete the visa process. Our FREE service has already helped more than 5,000 students from all around the world! Should You Take the TOPIK Test? Where did you first hear about Go! Go! Hanguk?